You are here: Home / Housing & Transportation / Use NLIHC Report as Tool for Advocacy! Take this opportunity to look at where the housing trust fund money is being spent in your state – are you happy with their priorities? NLIHC is a great resource on this. 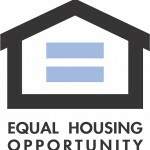 What are my state’s priorities for the Housing Trust Fund monies? Will that list of priorities help people with disabilities in the state? Do the priorities match what I am seeing in the community? What do I want to see instead?